With Ukraine preparing for presidential and parliamentary elections in 2019, political speculation is currently running at all-time highs in the country. However, not everyone is eager to participate. 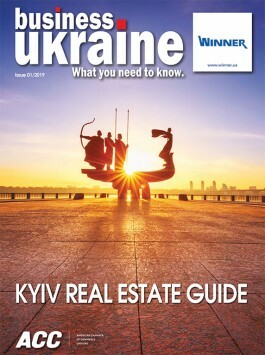 Yaroslavsky is a high-profile Ukrainian businessman with roots in Kharkiv. The owner and president of DCH Group, he has been active for more than two decades in a diverse range of economic sectors including finance, construction, transport, heavy industry, infrastructure and the hospitality sector. His investments in the Kharkiv region alone are estimated at above USD one billion, with over USD 300 million spent preparing Kharkiv for its role as a Euro 2012 host city. He enjoys a particularly high profile in his native Kharkiv, where many remember his 2005-2012 tenure as president of local football club Metalist Kharkiv. During Yaroslavsky’s presidency, Metalist consistently occupied a position among the top three clubs in the Ukrainian Premier League while regularly featuring in the Europa League. In addition to his association with Kharkiv football, Yaroslavsky is president of the all-conquering Kharkiv Olymp Rugby Club. He is also a prominent patron of Kharkiv institutes of higher learning and holds two honorary doctorates from the city’s top universities.